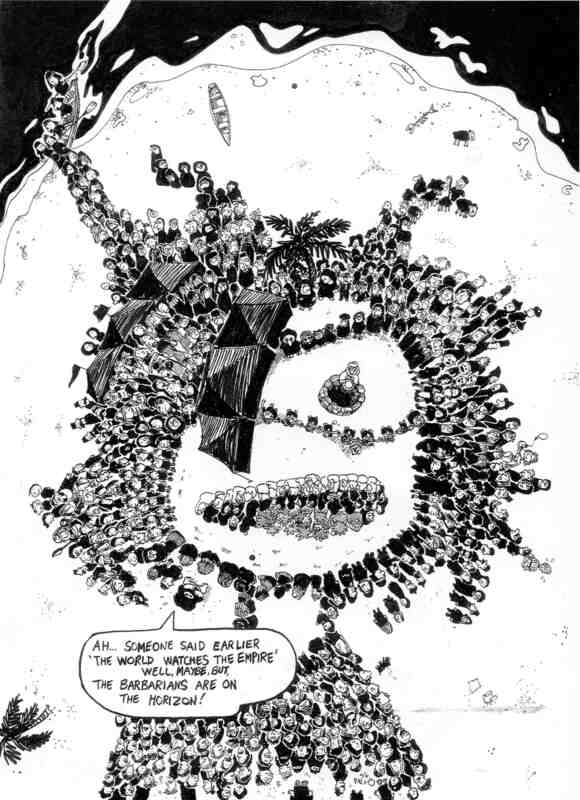 The Comic Messiah by Q-Ray (Clint Cure), 1998, ink on paper. Other artists in this exhibition included Max Andersson, Enki Bilal, Guido Crepax, Will Eisner, Jason(John Arne Sæterøy), Henry “Hank” Ketcham, Brant Parker, Hugo Pratt, Quino, Bryan Talbot, Mort Walker and Song Qing Zhu (Gao Diao). It was wonderful that the work of emerging Australian creators was displayed alongside these established international creators. Black Light Angels by Louise Graber, 1998, ink on paper. 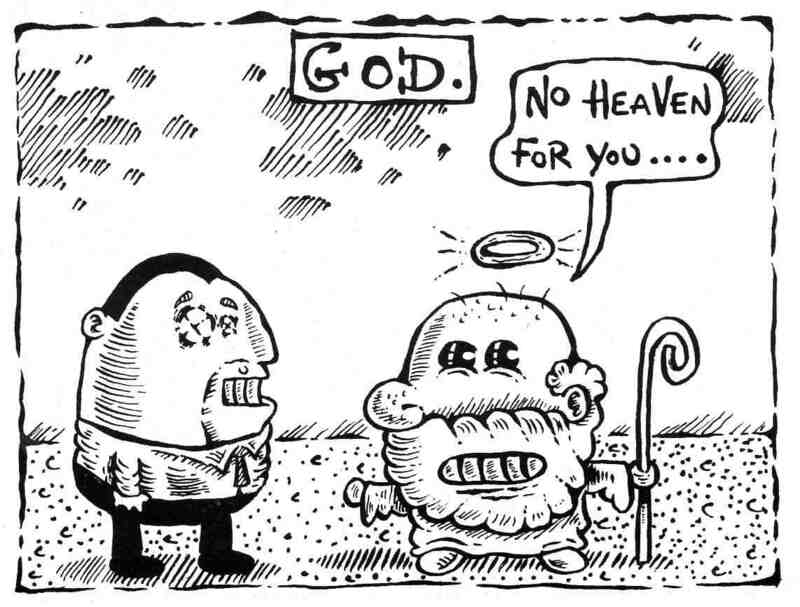 Blackie’s last day by Tony Single, 1994, pencil, felt pen, ink on paper. Upward + Onward by Damien Woods, technical pen and felt pen on photocopy paper. 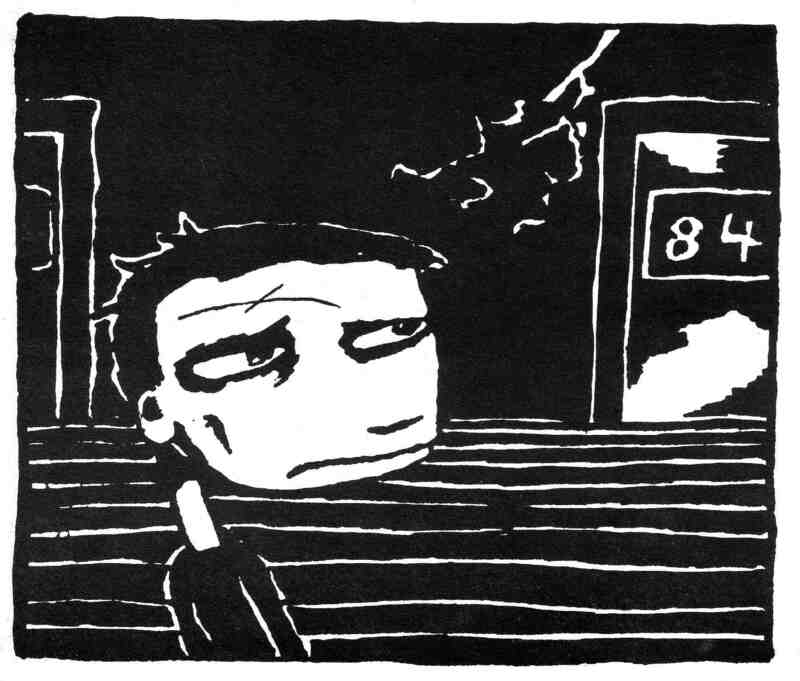 Lightning Strike by Mandy Ord, 1998, ink on paper. 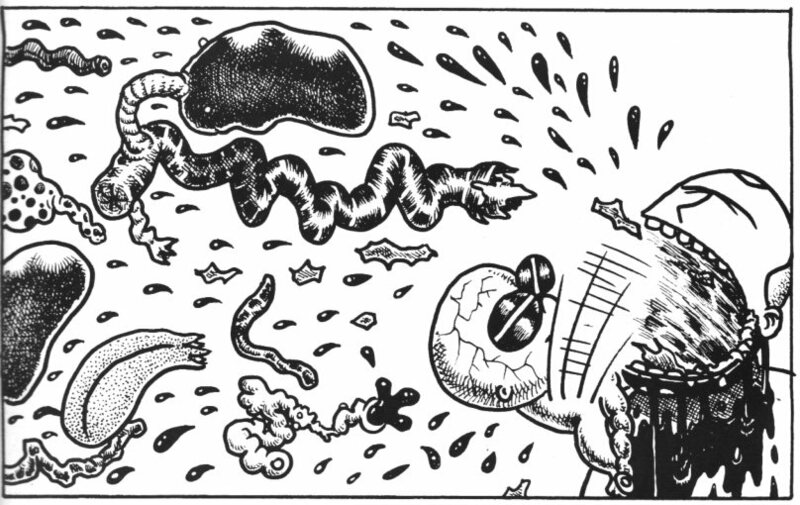 Radiation Sickness by Ross Tesoriero, 1997, ink on paper. Ah-choo by Neale Blanden, 1997, combined technique on paper. Jean and Rolly by Timothy John Danko, 1995, collage on paper. 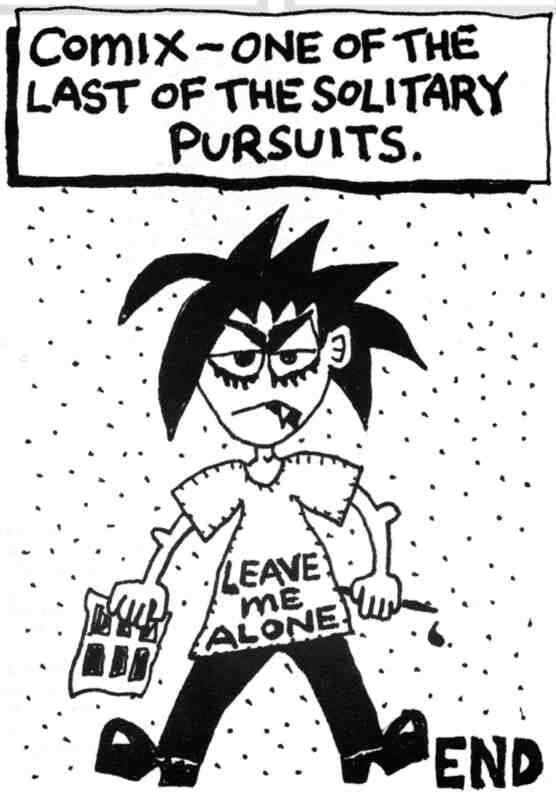 Kurt Hurt’s Reasons to Draw Comix by Stuart Stratu, 1997, ink and whiteout on paper. 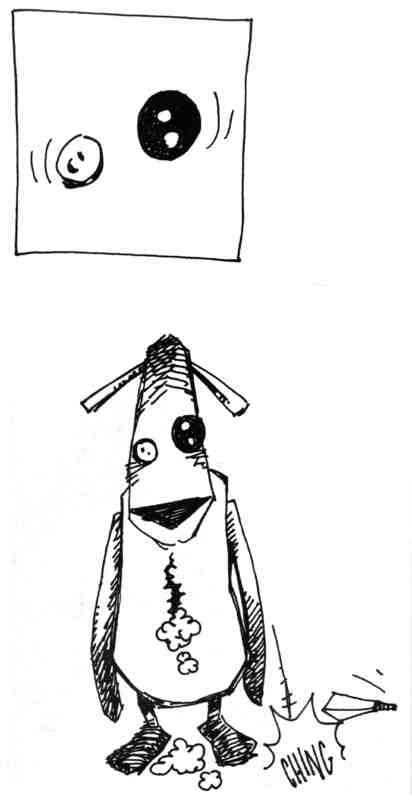 Francis Bear by Gregory Mackay, 1998, ink on paper. 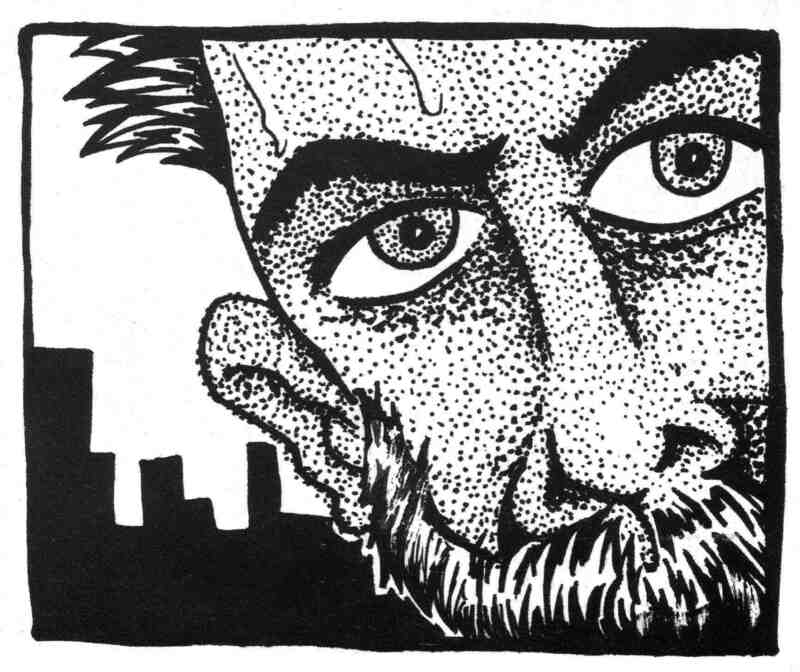 Stranger Danger by Ryan Vella, 1997, ink on paper. 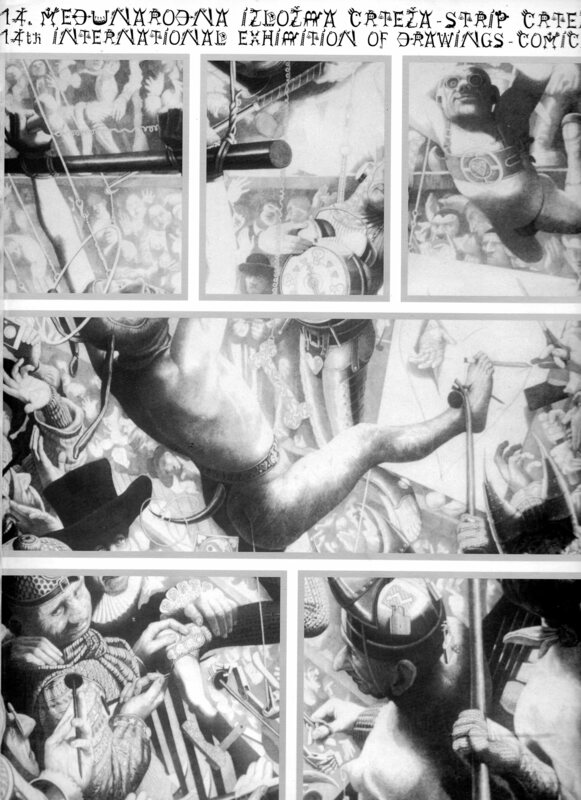 The False Impressionists by Bernard Caleo and Tolley, 1997, combined technique on paper. The Killer Foetus by Ben Hutchings, 1997, combined technique on paper. 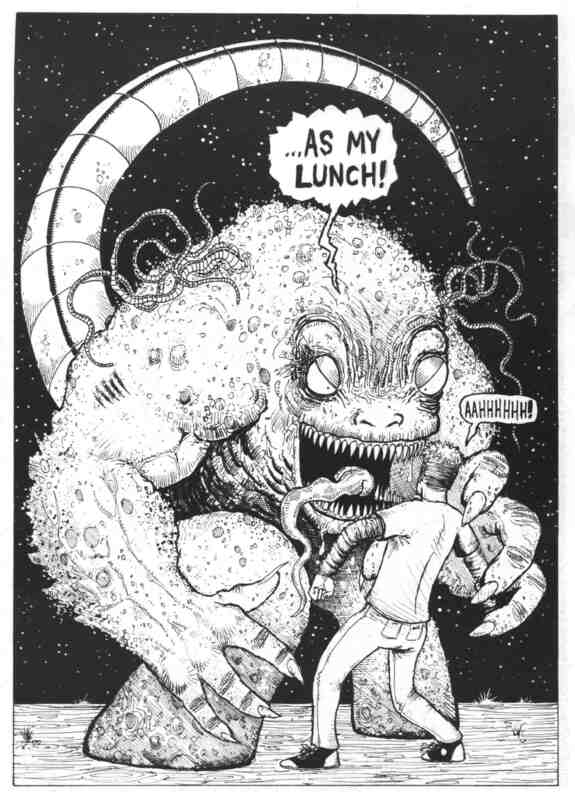 This entry was posted in Archive of Australian Alternative Comics, Art, Comics and tagged Ben Hutchings, Bernard Caleo, Gregory Mackay, Louise Graber, Mandy Ord, Michael Hill, Neale Blanden, Q-Ray, Ross Tesoriero, Ryan Vella, Stuart Stratu, Tim Danko, Tolley, Tony Single by Doctor Comics. Bookmark the permalink.